Split layouts are becoming more and more popular and they can be very effective, especially for long form content with plenty of great images and engaging content. OrganicThemes have focused on typography and legibility with the Sideways theme and the article pages look really nice. 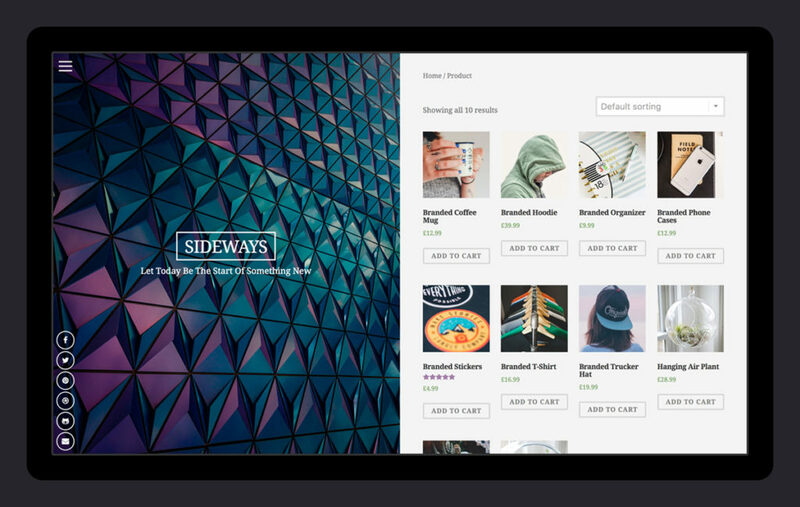 WooCommerce functionality is built in and the shop pages a simple and effective. You wont find any advanced features in the shop section and it would be best used for small shops with very straight forward requirements. OrganicThemes have taken the interesting approach of removing support for widgets on the Sideways theme. They say that widgets simply are not necessary in this theme so they have removed them in order to keep things as simple as possible. This sounds like a good idea to me as I like themes to be as simple as possible but you should be aware of this just in case you have a requirement for widgets and you are thinking of buying Sideways. 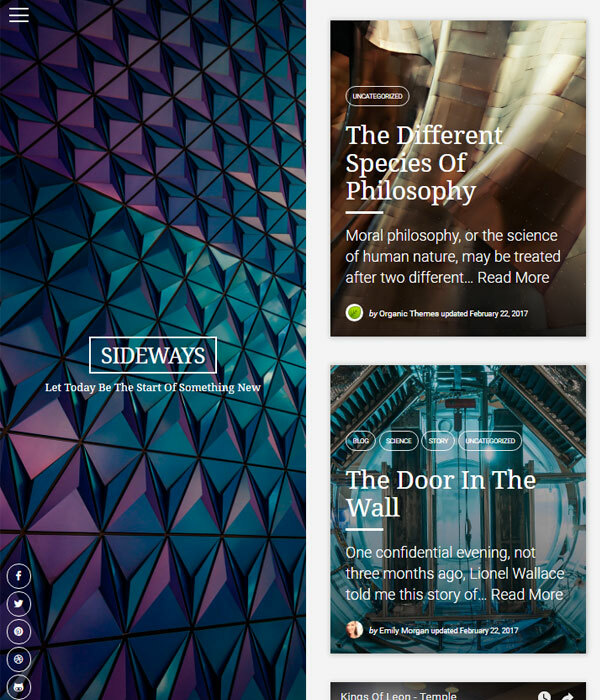 Sideways is a great theme and well worth considering if you are looking for something to power your WordPress blog with which doesn’t have a traditional layout. OrganicThemes are a well known and reliable provider who consistently create awesome themes, so check them out now and see what you think.